TOWPATH cyclists on the Grand Union Canal in Birmingham are now officially hurtling along at over 30mph, being a danger to boaters and pedestrians alike. Backed by the American speed cycling association, Strava, 14 cyclists have registered 30mph and over on the towpath of the Grand Union Canal in Birmingham, on its now official time trial route, Ralph Freeman reports. 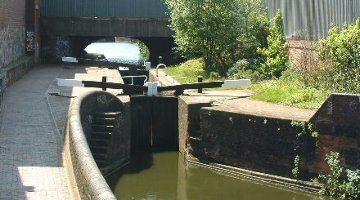 To make it a definite danger to boaters, part of the 1.6 mile race track includes part of the Camp Hill Locks, as it is stated there is a nine yards elevation to the route, meaning that the cyclists will be speeding past boaters working the locks. Strava is all about cyclists improving their performance, as it is all done by registering their speeds by GPS either using a smart phone, a watch or head unit with the result then shown on its website, that of course encourages them to attempt to better their speeds. Strava itself promotes the ever increasing speeds by actually naming this length of the towpath 'Towpath Express'! There is a great deal of competition not only against others but attempting to increase a best speed, all using this length of the Grand Union Canal towpath in Birmingham. To prove the great interest in ever increasing speeds to date there have been a colossal 4,671 attempts by 798 cyclists on that particular length of towpath! To date 14 cyclists have reached 30mph and above, with a David S registering 34.7mph! You certainly would not want to meet him when walking to a lock to open a paddle! It was back in 2014 that Ralph Freeman first brought up the dangers of the Strava backed cyclists, pointing out that as the towpaths were being upgraded the Strava racers were taking them over, on canal after canal, to use for time trials, stating quite a number of towpaths being used on different canals. So at a Press Briefing by the Canal & River Trust at Hatton, a little later that year Tom Crossley, Editor of narrowboatworld acquainted Chief Executive, of the Trust, Richard Parry, of the dangers of these every increasing time trials, and quite an argument ensued but all he could get from Mr Parry was that he would 'educate them'. We all know of the 'education' to 'Drop Your Pace' painted on towpaths, but the fact that 14 cyclists have each boasted of reaching 30mph and over on just one of the now dozens of towpaths now officially used for time trials clearly shows that his 'education' is useless, as it is certainly not working. Over the past four years more and more of the upgraded towpaths are being used for what can only be described as frenzied cyclists trying to better either their own speeds of those of others by going faster and faster, creating real dangers to walkers and their children and animals attempting to share their race tracks—as obviously that is what so many have now become. 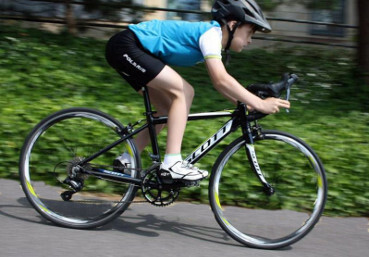 The Trust must quickly get its head out of the sand and do something about it—and realise its quest for visitors to its towpaths is of little consequence when compared to the dangers that these 'flat-out' speeding cyclists present.